They're about as cutting edge as homewares get, creating everything from toothpick holders to coffee plungers, fruit bowls and pepper mills and everything in between. Chances are, if its colourful or shiny or whimsical, it was borne of an Alessi mind. Everyone loves Alessi. Even pets! Your cat will adore the Tigrito Cat Bowl! You will too, because it’s so easy to keep clean, you don’t have to bend all the way down to pick it up…and it’s so irresistibly, unbelievably cute! Dish up your kitty’s dinner in the gorgeous set of bowls, which are removable for cleaning. Meanwhile, the long tail acts as a handle, making it really easy to pick up off the floor. 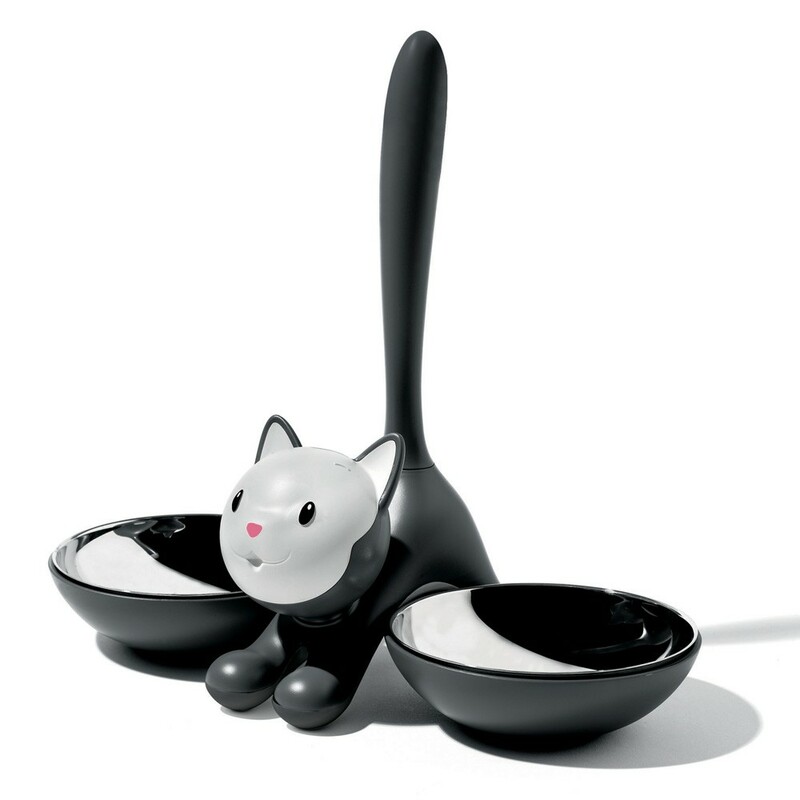 Just because you’re obsessed with Alessi, that doesn’t mean your favourite feline should have to miss out! Alessi – it’s a must have for all the coolest cats! Made from durable thermoplastic resin. Removable bowls made from stainless steel.